Before you head off campus today come grab a book to read over the long weekend. These are some of our new titles you can take home! 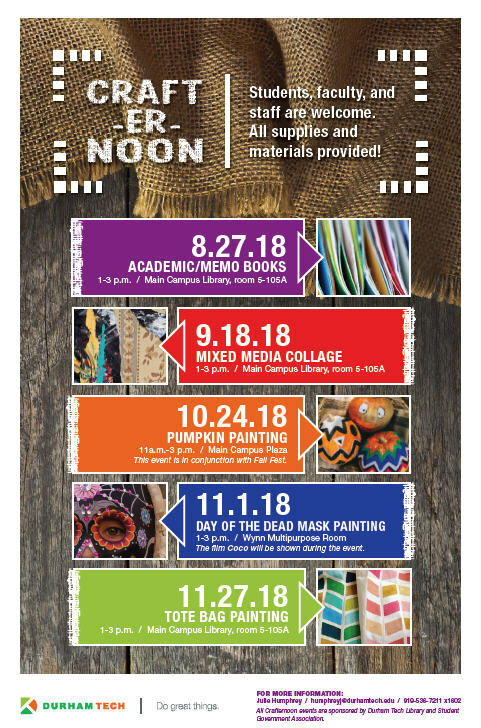 The Library and Student Government Association are hosting craft workshops this fall semester. Workshops are held in the Library’s Group Study Area room 105A on the lower level of Main Campus Library unless otherwise noted. All materials and supplies are provided. All of us in the library are saddened by the passing of Dr. Phail Wynn, Jr. 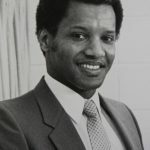 He was a champion of students and a supporter of the library both during his tenure as President of the college, and after. 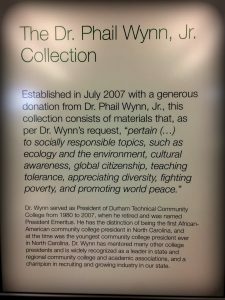 For more than ten years, Dr. Wynn donated funds to establish a special collection based around eight topics he selected. This book was enthusiastically read by Meredith Lewis, Orange County Campus Librarian. Honestly, it was one of several this year that I read about, had a great premise, and also got really good reviews. 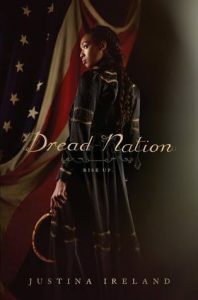 I often wonder if books are as good as everyone says they are and this is one of several I’ve read lately that have lived up to their hype –see: Children of Blood and Bone (reviewed on the blog here, The Hate U Give, and I Am Not Your Perfect Mexican Daughter. Despite the great reviews, I was a little torn because I actually hate zombies. A lot. If a zombie apocalypse actually ever occurs, I’ll have a hard time not just giving up because it’s too bleak. I don’t want dead people-like things eating my face. The deep-seated evilness of several of the characters reminded me of The Knife of Never Letting Go by Patrick Ness. I’d recommend this to both people who do like zombies and people who don’t like zombies, and any people who like super engaging stories, awesome strong female characters, and are okay waiting for the next book in the series [2019 on Goodreads!]. Some very sharp sickles. You know, for the zombie slaying.